Fall is here and the air is crisp which means winter is just around the corner. The blanket scarf is definitely one of my favourite fall/winter accessories other than hats. It’s a simple way to change the look of an outfit and easy way to bundle up if you are wearing a thinner coat because they provide so much warmth. I also love that it’s an affordable way to accessorize your look. 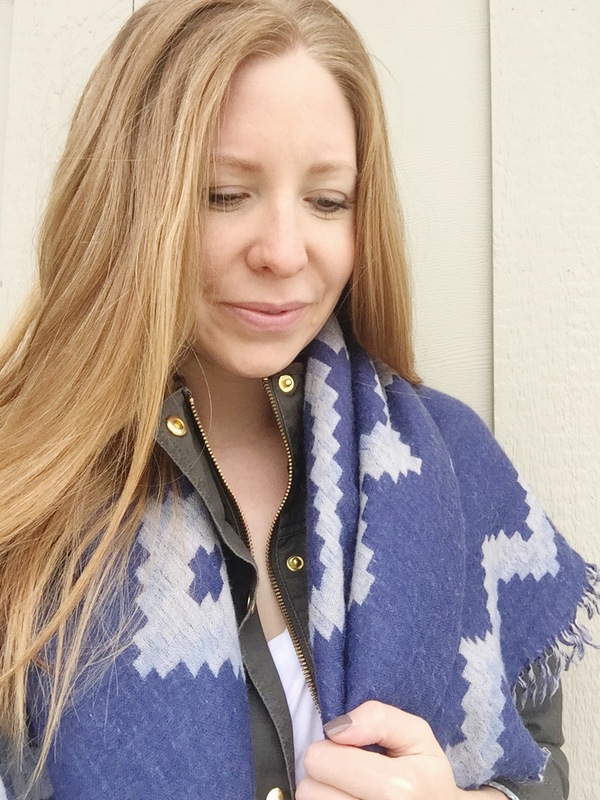 So today I’m sharing the best blanket scarves of the season. Here are my top 6 picks and the stores that I think carry the best ones. The blanket scarves below range anywhere from $24.50 to $258 CAD. Kit and Ace – Border on Softness Scarf (hthr antler stripe) – This one is my all-time favourite. It’s pricey but it also 100% cashmere, so totally worth it! I love the soft tones. Wear this scarf with neutrals and it’s your major statement piece. Zara – Maxi Checked Scarf – I always think Zara carries great coats and accessories like this black and white scarf. So classic and simple. I love this scarf either dressed up, worn with jeans and a black leather jacket, or even worn over your yoga attire. If you want a bit more colour for the holidays this red one is bold and will do the trick! 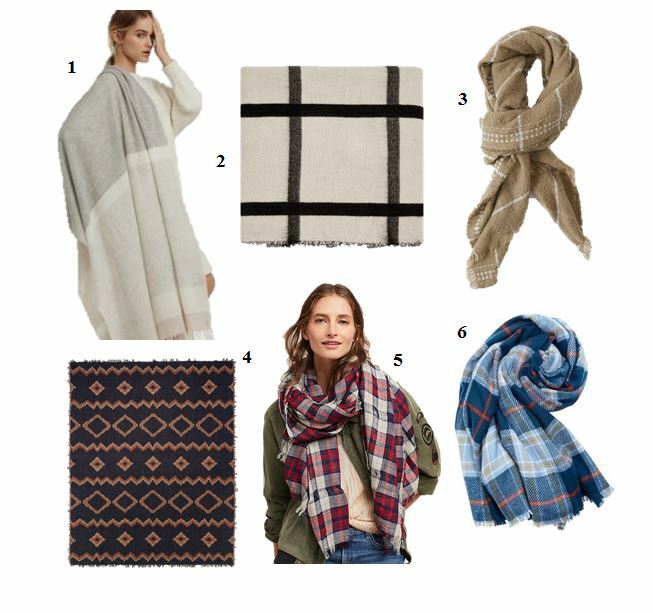 Abercrombie & Fitch – Plaid Scarf (camel) – You probably weren’t expecting to see A&F on my list because the last time I shopped there was in high school – no joke. I recently went in the other week when I was conducting some field work and was pleasantly surprised to see some nice mature options for the thirty something woman. Also…if you know me then you know I’m obsessed with anything in camel colour. Naturally I gravitate to this scarf because it’s chic, soft and cozy, only $40 CAD, and goes great with a jacket or blazer. Wilfred – Diamond Mosaic Blanket (navy/camel) – So these Wilfred scarves have been around for a while now; they are honestly beautiful. They come in a ton of colours so it can be overwhelming to choose but some of my other favourites are: dark olive/aged gold, birch/grey, and wind. 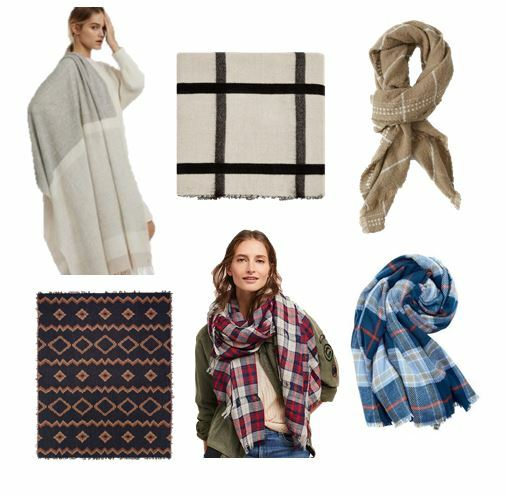 Anthropologie -Perth Plaid Scarf – It wouldn’t be fall or winter without some plaid incorporated into the wardrobe. I love the blue, red, and white colour combo in this particular scarf and I love how the model is wearing it with a utility jacket. Indigo – Blanket Plaid Scarf (navy) – Indigo’s Fashion Accessories department always carries such nice things at such great prices! 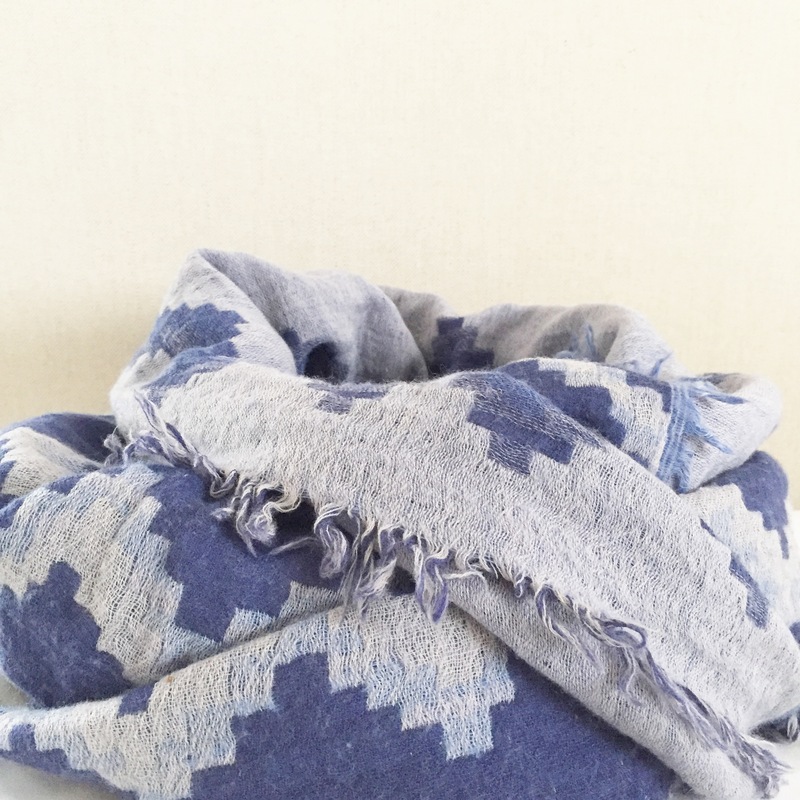 You can’t go wrong with this blanket scarf – over sized, soft, totally affordable. The blanket scarf is so versatile for wearing draped as a shawl, wrapped around your neck a few different ways or even folded in half. Depending on the style of the blanket scarf, you can wear it as a formal accessory with a dress or suit, casual with jeans and t-shirt or sweater, or throw it over workout clothes. Buy a scarf that will compliment your style and accent the clothing you already own. Think about why you want it…warmth or accessory or both? Pick one that will make a statement. Do you want it to be loud or muted? *If you enjoyed reading this post, please click below and vote for The Shop Guide. Thank you! Saved as a favοrite, I love yoᥙr sitе!